Had a few people ask about shadowing users. If you've looked around, you'll see Microsoft dropped the ball from Windows Server 2008 R2 to 2012 - as they removed the shadowing capabilities. 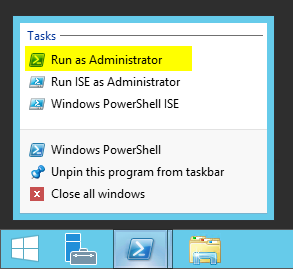 For Windows 2012 R2, they've added it back. Now, if you've configured just a single RDP Session Host, like I've shown, you may be wondering "How can I shadow my users now that I'm all RDP-RDMS free?" Well, I'm glad to say that you're in luck.